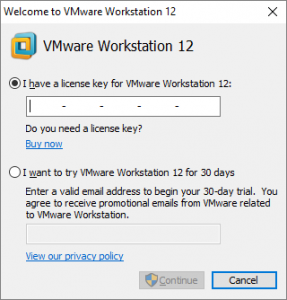 So, I need to learn about VMware, what’s the best way to go about it I asked myself? 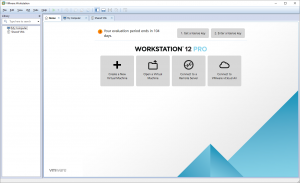 Jump on In and install VMware workstation pro (12) and have a play! My desktop has 8 4ghz cores, 24 gigs of ram and a few terabytes of disk, I think I should be fine. So, of to vmware.com to download VMware workstation 12 after creating a free account. I`m running windows so ill grab the appropriate version, I have a key for version 12 so that’s what I’m getting, the 400ish Mbyte download is quick and slick, as is the installer to follow, the usual ELUA fare and customise options, but if you’re considering VMware you have enough knowledge I don’t have to go through the installer process the only thing of note is you get a full featured 30-day evaluation So, if you want to play and explore the possibilities you can. 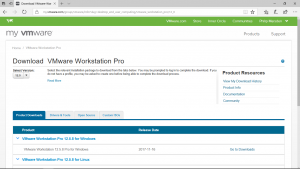 Frankly installing VMware to this point has been simple slick professional installer as to be expected from VMware’s reputation and industry standing. 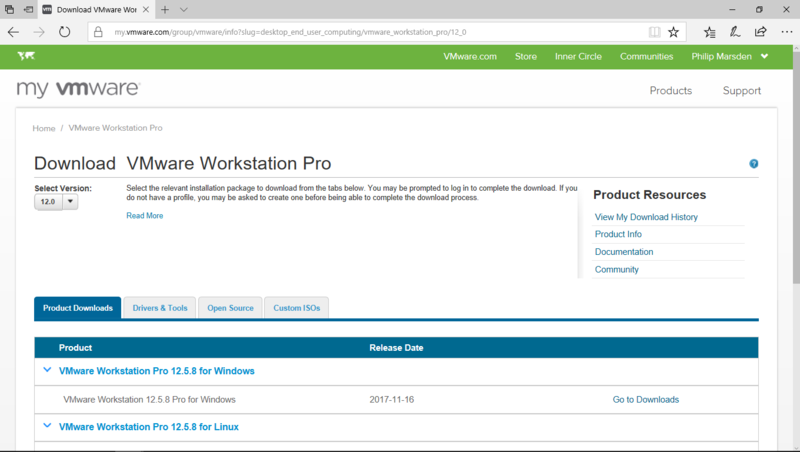 Now, for learning VMware I figure I need a virtual environment, so I`m going to set up a virtual server within VMware workstation on which I will install a hypervisor (esxi) and use that as a base for a home lab. Not unlike a Microsoft management console (MMC) window, and immediately feeling at home, with the addition of some helpful shortcuts on the home screen. Strikes me as VMware workstation is very easy to install, for anyone with basic computer skills, and that’s great its accessible for people to learn, and it’s quick and easy for tec-heads like me to install, and i can only imagine that as a a plus in the enterprise world..
Next time installing the hypervisor..